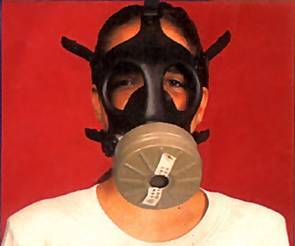 Gas mask kits were first distributed to Israeli residents in 1990 prior to the First Gulf War. In 2003 the gas masks were recalled. Most of the kits were collected, refurbished and renewed in preparation for future use and distribution. In February 2010 distribution began once again. Residents collected new gas masks at the various distribution centers throughout the country upon presentation of appropriate ID. A home delivery service via the Israel Postal Authority was also put in place. In 2014, Pikud Haoref - The Home Front Command - declared that there was no current need for gas masks. Should the need arise sometime in the future, the Home Front Command will publish information concerning the various distribution points throughout the country. Still have a gas mask? If you are still in possession of a gas mask and don't know what to do with it please contact The Home Front Command by dialling 104 from any phone for instructions.